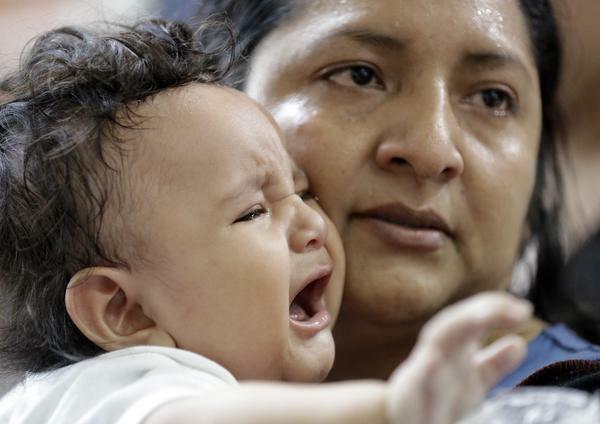 Maria Del Carmen Barrios from Guatemala holds her 6-month old after being released by U.S. Customs and Border Protection on Friday in McAllen, Texas. She was separated from her 15-year-old sister at the border and does not know where she is now. 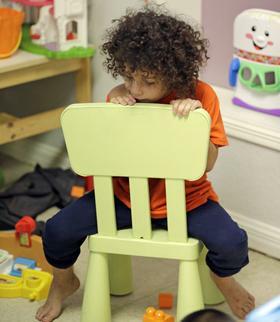 Members of Connecticut's congressional delegation, including Representatives Rosa DeLauro, Elizabeth Esty, Jim Himes and Joe Courtney, and Senator Richard Blumenthal, spent the weekend visiting immigrant detention centers in McAllen and Port Isabel, Texas. Congresswomen DeLauro and Esty shared what they saw with psychologists at the Yale Child Study Center on Monday. Dr. Steven Marans of the Yale Child Study Center was also on the panel. He says trauma like this puts kids at risk of substance use disorders and criminal behavior later in life. Marans says children need to be reunited with their families to stop the immediate trauma of separation, so healing can begin. Marans warns that parents experience trauma, too. Esty says during a visit to a medium-security prison, they met with 15 sobbing mothers. Esty says parents don’t know where their kids are because federal databases are not set up to match children with the family members from whom they’ve been separated. The Trump administration has yet to announce a reunification plan. DeLauro said she’s asking a House committee for funding to reunite more than 2,400 immigrant children with their families. 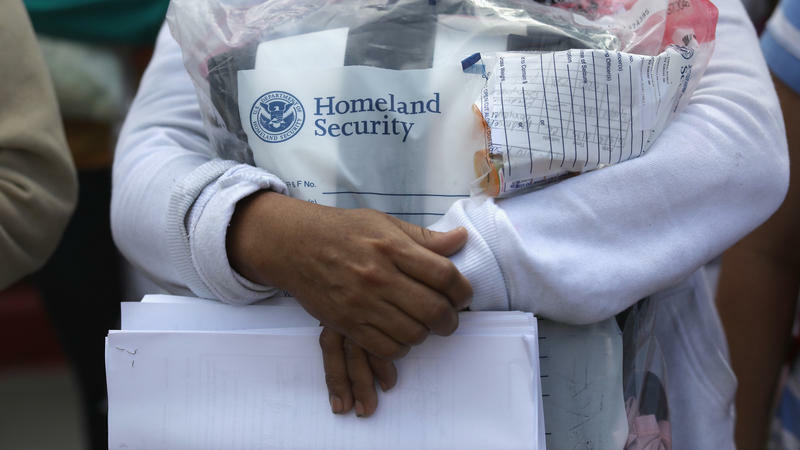 The congresswoman also said a lack of translators at the detention facilities made it difficult to speak with families, and that Congressman Himes had to step in to translate. It’s a hot day in Brownsville, Texas. U.S. Rep. Chellie Pingree of Maine sits shotgun in a silver Mercedes SUV, talking to her driver, a Brownsville city official. 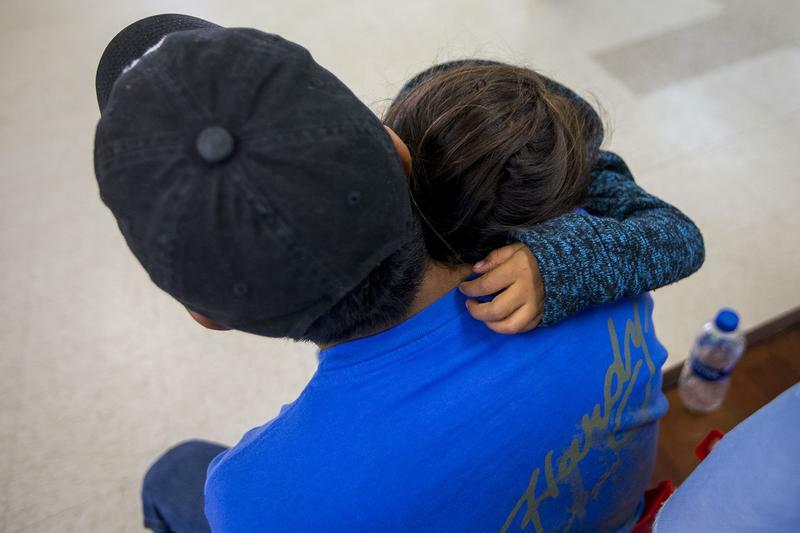 She turns around, leaning over her left shoulder, and explains what it was like earlier in the day when she spoke with a group of migrant mothers in a nearby U.S. Immigration and Customs Enforcement (ICE) detention facility. Several members of Connecticut’s congressional delegation are calling on the Trump administration to step up efforts to reunite families separated as they crossed the southern U.S. border.